Can you give me a little information about your puggle? We have a 2 year old puggle, matilda, and just love her to death. 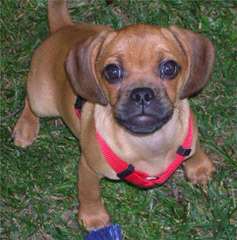 Why are you giving your puggle away? Boy or girl?